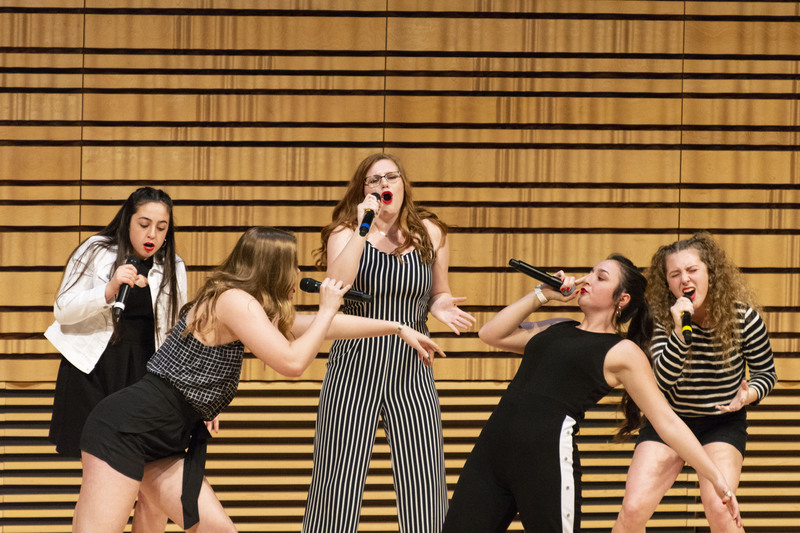 A TOTAL OF 19 A CAPPELLA GROUPS TOOK to the stage in the Experimental Media and Performing Arts Center. 10 a cappella groups from five universities dazzled the crowd with their melodies and arrangements at the International Championship of Collegiate A Cappella quarterfinals on Saturday. A Sharp Arrangement, Potsdam Pointercounts, Stay Tuned and the Potsdam Pitches came from SUNY Potsdam. University of Albany brought Pitch Please and Serendipity, while The College of Saint Rose brought the Golden Notes. UnderStaffed represented Clarkson University, while Partial Credit and the Rusty Pipes represented Rensselaer. The four-hour event had everyone in the audience singing along and clapping, making for a very hard decision for the judges. But eventually, after the judge’s deliberations, SUNY Potsdam swept all of the awards with the Potsdam Pitches in first place, A Sharp Arrangement in second, and Potsdam Pointercounts in third. The Potsdam Pitches and A Sharp Arrangement will continue onto the semifinals on March 30 at the University of Buffalo. As for special awards, Brittany DeLuca of the Potsdam Pitches won Outstanding Soloist for “Creep” and “Outstanding Arrangement” for “Levels.” DeLuca and Kristen Grajek of the Potsdam Pitches also won “Outstanding Choreography” for their entire set. The day prior, nine groups from different high schools participated in the 2019 International Championship of High School A Cappella northeast quarterfinal. These groups entertained their audience with a variety of songs ranging from musical songs as The Greatest Show and rock songs such as Death of a Bachelor by Panic! at the Disco. The podium finishes were Bear Necessities of Vestal High School in third, and Vocal Point of South Glens Falls High School in second. The winner of the even was For Good Measure of Mohonasen High School in Schenectady, NY.